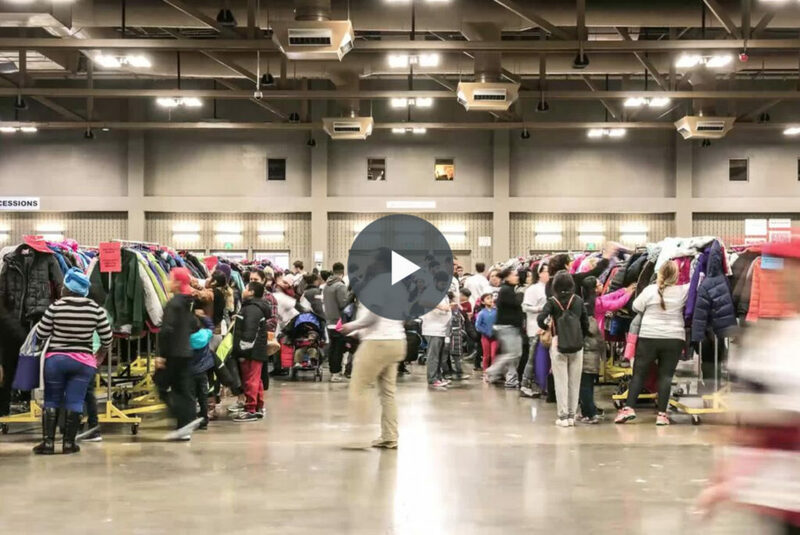 On December 8, 2018, The Junior League of Austin will hold the 32nd annual Coats for Kids Distribution Day. Together with our longstanding partners —Jack Brown Cleaners, KVET, and KVUE — the Junior League of Austin will provide over 35,000 warm winter coats to Central Texas Children in need. As families arrive on Distribution Day, bilingual volunteers greet and review documents for verification of economic need. Each family is then escorted by a volunteer through racks of sorted coats. Each child that attends is able to select a coat which suits their needs, body type and personality. Every child deserves to be ready for the daily activities like recess or school bus trips. A donation to Coats for Kids ensures kids will be warm this winter; it’s more than a coat, it’s an educational tool. The doors at each Distribution Day site remain open until every family is served. At the close of Distribution Day, any remaining coats are distributed to other local agencies to be given to children in need throughout the winter. Junior League volunteers and over 2,000 community volunteers participate in the acquisition, sorting and distributing of coats. It is because of the valued support of local groups, businesses, schools and individuals that Coats for Kids continues to thrive and help keep so many Central Texas kids warm each winter. We collect new and gently used coats starting in November through the first week of December. If you would like to donate a gently used coat, please drop it off at any Jack Brown Cleaners location. You can find a list of their locations here: http://www.jackbrowncleaners.com/. We also collect donations to provide additional coats on distribution day. Every $20 buys a new coat.